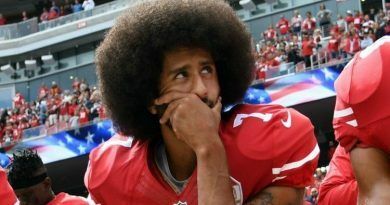 Everybody knows that Colin Kaepernick’s polarizing decision to protest the national anthem was a stupid thing to do! He should have known that actions have consequences, some good, some not so good. This falls on the NOT side because honoring and respect the flag of our nation is also paying respect for those who paid the ultimate sacrifice to keep of nation safe and free. In an interview with Mediate, 4 times super bowl winner Franco Harris was asked about NFL players refusing to stand for the national anthem. What NFL Hall of Famer Harris said comes as no surprise at all! He said that in his day national anthem protests would not have been tolerated. 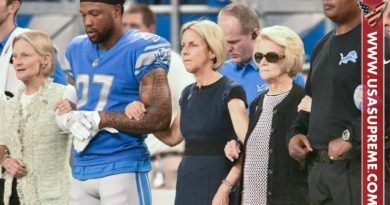 I find it amusing that all these spoiled, rich and, in this case, mediocre athletes are being slammed for their actions by real athletes who grew up before Civil Rights when we actually had segregation and actually had something to complain about. The players in all sports from the 70’s had respect for the game they were playing and were happy to be making “big money” to do so…Now you just have a bunch of spoiled lucky “‘privileged” characters that think it is cool to pander to the social issues of the day….it is nonsense…ask Hollyweird how good they are doing these days poking their noses in politics? Do you support Franco Harris on this one? Scroll down to leave a comment below. ← Laura Ingraham Drops DACA Bombshell, Triggers Every Whiny Liberal With These Four Words! I agree with everything Franco Harris said and it is not just CK, it is especially his fellow players I disagree with. Thank you, Mr. Harris, for sharing your thoughts on the actions of an individual who’s name doesn’t deserve to be spoken or written. My father was killed in Vietnam in 1968. Before he was drafted into the army he was being scouted by two Major League Baseball teams. 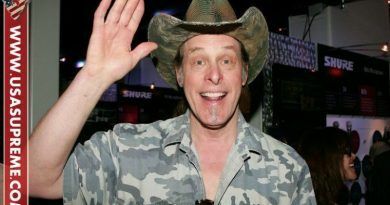 I am confident that had he returned from the war, he would have played major league ball for one of those teams, first as an American, and secondly as an American sportsman. I can honestly say that I do not consider the nameless individual to be either one of those things! I never knew my Daddy because I was only 8 months old when he was killed. I would love to be face to face with anyone who thinks they have a right to disrespect my Daddy, and my country! Good Bye Colin Kapernick & Good Ridence, we are Blessed to call America our country!!!!!!! Right on Franco!!!!! I am one of those who fought like Pat Tillman only I came back… If he had come back Pat would have probably kicked add and taken names… They know not what they are doing not having lived any of it…. I totally Agree with Franco! Franco Harris is still a shooting star! He was one of the best running backs to ever play game…and Kampa who, is a no go at this station, the United States Army say!! Well said Mr Harris. I served in the USAF for 5 years. I have been aF/F 30 years. When I enlisted and when I was hired by the FD. I was told that as long as I was wearing the uniform I was representing that organization. I was not allowed to protest ,or voice my opinion on any political or religious topic. If I wanted to, I had to wait until I was off duty and out of uniform. The NFL owners should have adopted the same rules for their players. After all. The players are hired entertainers representing the team that hired them. They can have their say. But not on the field. Never disrespect the flag and the veterans who have defended it. Go Franco! Love, Love, Love! I agree with you totally ! There are quite a few ways you can express yourself and get your thoughts across without disrespecting the flag, anthem and numerous veterans who served and gave their lives for not only you individuals but the millions of people who walk the streets of the country every day. Dr. Martin Luther King believed in peaceful protesting not looting and disrespecting the values of the country, when it seemed fit to do so. Leaders on both sides have got to sit down, find the root of the problem and try to solve it. You’re all Americans, Black, Yellow or White. This idea of disrespecting your fore fathers is asinine and ridiculous. The country has gone through a Revolution, Civil War,War of 1812, Mexican War, Two World Wars, Vietnam War, Gulf War and challenges in Afghanistan and has never been broken. Don’t let something as petty as what is going on right now destroy you from within !! Yes I agree and if our coaches had balls they would stand up to the players. I agree that NFL players made a bad mistake this past weekend! Thank you Mr. Franco. No one else could have said it better. What I find disturbing is the example they are setting for our young people. I’ve seen child athletes who have mimicked them. I completely agree with Franco. Finally a football player using his head for more then a hat rack. Franco has always been a class act. 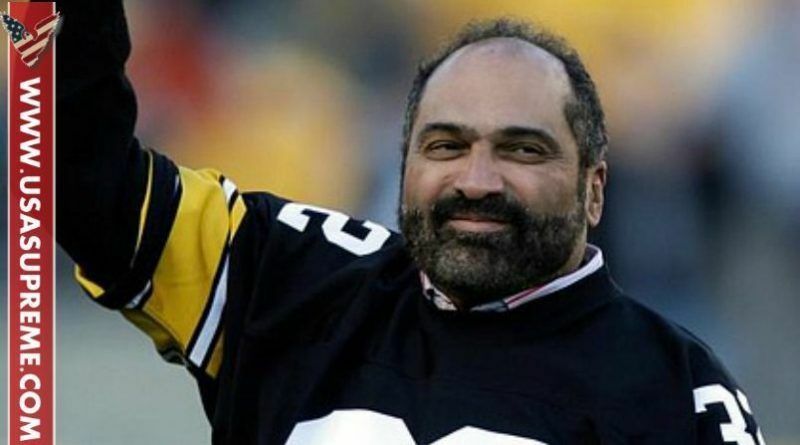 Yes, Mr. Franco Harris is 100% correct. Once the players put on their uniforms, they are not longer on their free time. They are getting paid to play the games and with that being said, respecting the National Anthem, the Flag and the country is part of it. If they are not playing then they can do whatever the players will like to do. But in my opinion, as long as you live in the United States of America you are to respect this country. God Bless the USA.